Products / September Box - Limited Quantity! Free Shipping in the US! Our focus for September is managing through a "crossroads" moment. 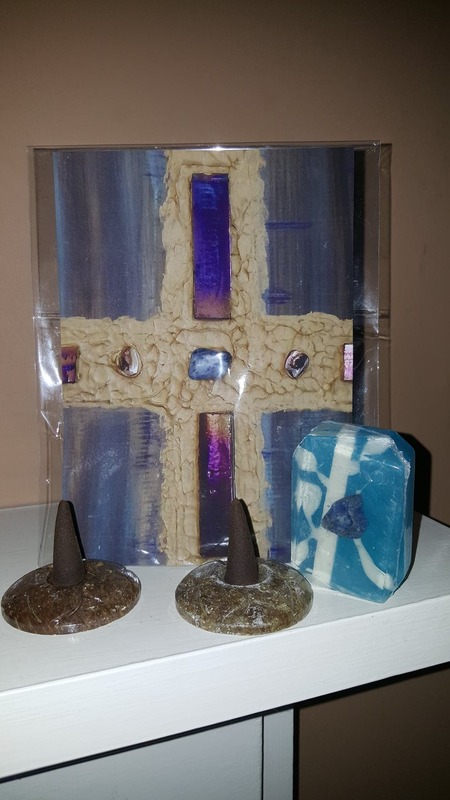 It includes a beautiful art card with a sodalite stone, a mini-soap from Crystal Bar Soap also with sodalite, two lotus soapstone burners, lotus incense and an oil (not pictured) that helps deal with stress and encourages a positive mood. Get yours before they're gone! FREE Shipping in the US!